The Plaintiffs sued a police department after a traffic stop where they were detained for 45 minutes, handcuffed and a police dog sniffed around and in their car. Miller v. City of Plymouth, 2011 U.S. Dist. LEXIS 41386, (N.D. Ind. Apr. 15, 2011). The facts were unsettling on many levels. In the following lawsuit, the Defendants were ordered to produce any video recordings involving the police office and his dog sniffing a detained vehicle since January 1, 2004. Miller, at *4. The Plaintiffs brought a motion for sanctions based on the alleged loss of video recordings. The Magistrate Judge found for the Defendants and the Plaintiffs sought review by the District Court. The police department did not have a video library of traffic stops. Additionally, the stopping police officer did not have videos dating back to 2004. Miller, at *6. The Police Department had a video recording policy dating back to 1993 (back in the days of VHS tapes). Miller, at *4. The policy called for the retention of video recordings for 7 days, after which the VHS tapes could be reused. Miller, at *5. The policy allowed an officer to save a video if they believed the video would be useful “in the judicial process.” Id. 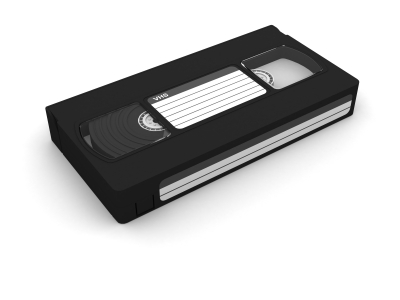 The “archaic” VHS recorders were replaced in 2006. Miller, at *5. However, the digital recorders malfunctioned often. Id. The stopping police officer had the only working digital video recorder the night of the traffic stop in the present lawsuit. The police officer preserved the video from the stop on DVD. Miller, at *5. The digital recording device recorded video on an embedded hard drive. Id. The device burned video to a DVD whenever the police lights were activated. Id. If the DVD was full, the device gave the option to save the data on the DVD or reformat the disk. Id. In early 2010, the county prosecutor asked the stopping police officer to record certain traffic stops and arrests. However, the new video recording often malfunctioned. Miller, at *6. 1) Was there a duty to preserve documents? 2) Was the duty to preserve breached? 3) Does the culpability for the breach rise to the level of willfulness, bad faith, or fault? 4) Did the party seeking production suffer prejudice as a result of the breach? 5) Can an appropriate sanction ameliorate the prejudice from the breach? Case law states that a sanctions award “must be proportionate to the circumstances surrounding the failure to comply with discovery.” Miller, at *7, citing Crown Life Ins. Co. v. Craig, 995 F.2d 1376, 1382 (7th Cir. 1993). However, Federal Rule of Civil Procedure Rule 37(e) “cautions” a court not to “impose sanctions on a party who lost electronically stored information because of the routine, good-faith operation of an electronic information system” absent “exceptional circumstances.” Miller, at *8. The Plaintiffs argued that the Magistrate Judge’s order was clearly erroneous,”because the recording device in this case did not automatically record over previously stored videos. Rather, the hard drive was knowingly and willfully ‘reformatted’ . . . at the prompting of the equipment operator.” Miller, at *8. In summation, the Plaintiffs’ argument was that the “Safe Harbor” did not apply to the Defendants because choosing not to burn video to a DVD was a “not a routine operation of an electronic information system,” but a policy, practice or custom. Miller, at *8. Here, it was essential to the operation of Defendants’ cameras that the user either save the recordings on the DVD or rewrite the information on it. Critically, by noting that routine operations “often” occur without the operator’s specific direction, the drafters acknowledge that “routine operations” can still occur despite the direct involvement of a system user. Accordingly, Plaintiffs’ contention that the activity of the camera user—which was extremely minimal in this case-takes the electronic information outside of Rule 37(e)’s safe harbor construes Rule 37(e) too narrowly. The Plaintiffs argued the Defendants’ “failure” to change their video storage policy after being served with discovery amounted to bad faith. Miller, at *11-12. The Court outlined a key problem with the Plaintiffs’ argument: it assumed relevant video ever existed. Miller, at *12. Moreover, it ignored all the problems the Defendants had with their video system, such as the police officer not having a camera in his police car for several months. Id. Finally, there was not evidence the Defendants had destroyed any DVD copies made from the video recording system. As such, there were no bad faith actions by the Defendants. Miller, at *12-13. Spoliation cases are not decided in the Star Chamber. Many parties have rushed to the Courthouse with spoliation charges. Sometimes there have been very disturbing examples of destruction of ESI. Other times, the motion is based on an assumption that electronically stored information ever existed.